My daughter has been asking me to decorate the house for Halloween since July, guys. JULY. I held her off until September but eventually caved because I couldn’t take it anymore. 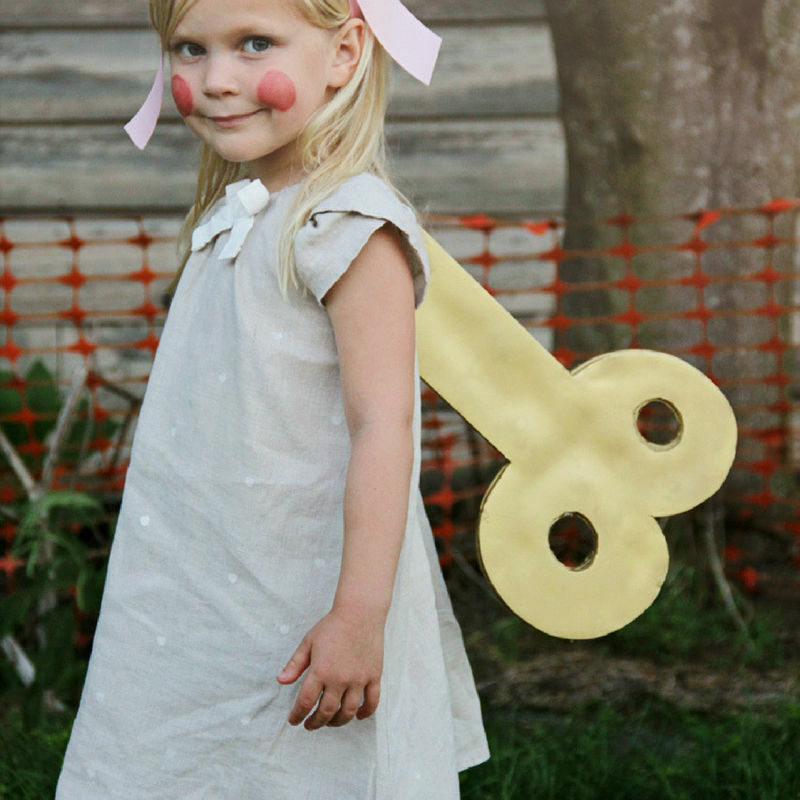 So, now we’re on the topic of the perfect Halloween costume. I think (think, being the focal word here) we’ve come to a final decision – Doc McStuffins seems to be the top contender. 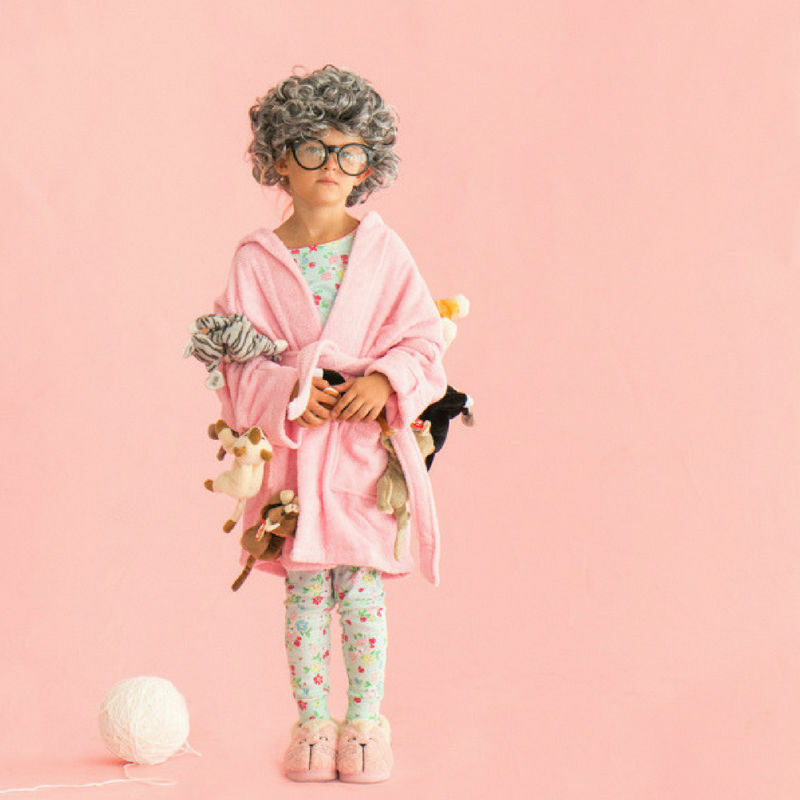 But, being that 4-year-olds can almost never make up their minds, I’m pretty sure we’re going to end up changing her get up at least 50 times more. Since I’ve been gathering easy(ish) Halloween Costume ideas as back up, I thought I’d share my faves here in case you’re in the same boat as me. 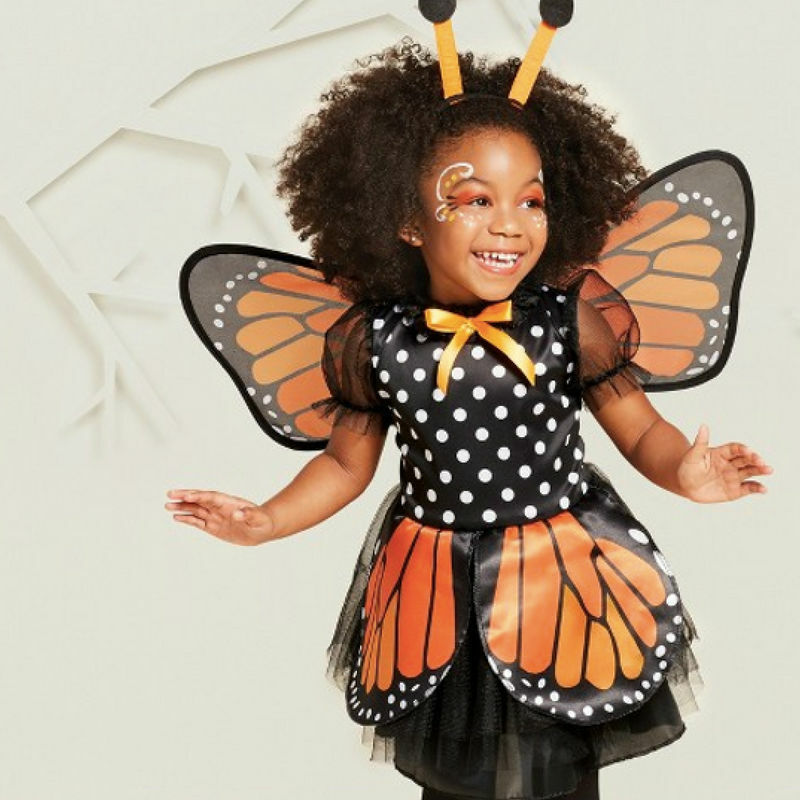 These costumes are adorable and seem pretty easy to DIY if you’re crafty like that. I am not so crafty so I’ve also included some easy buys as well. Crazy cat lady This is super easy to throw together with stuff you have from home and it’s absolutely adorable. 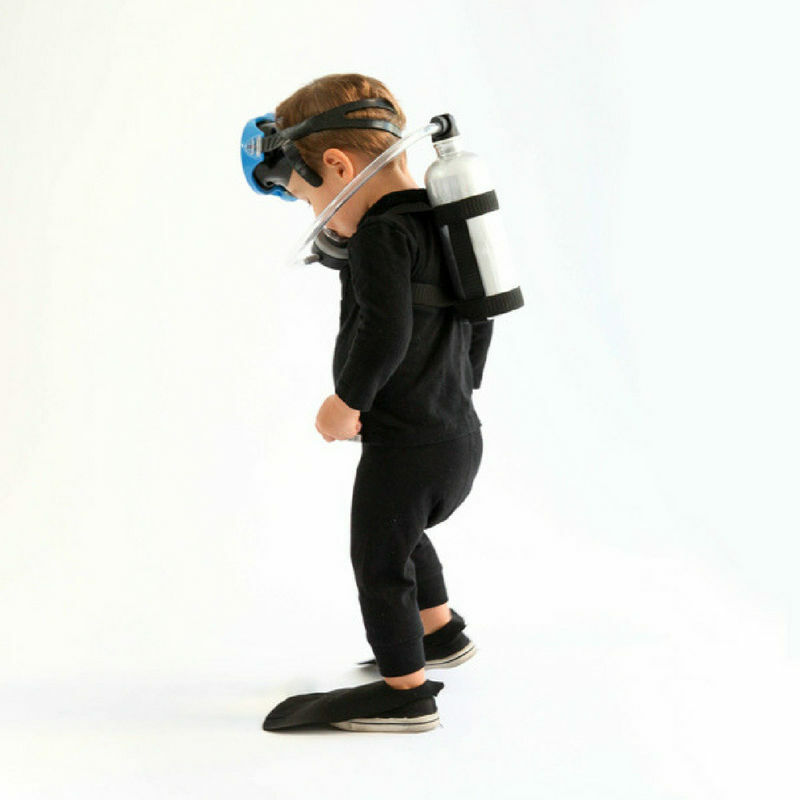 Scuba diver What’s up Scuba Steve? Genius idea and not too tough to DIY. Just spraypaint an empty bottle, pull out your ski goggles, some felt and pick up a little tubing. Done and done. 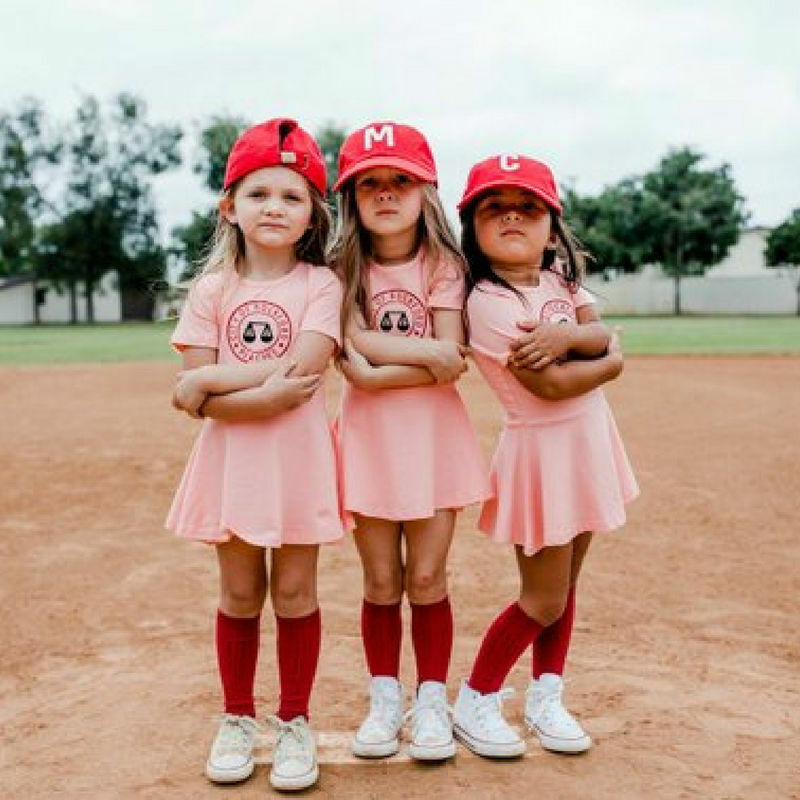 Rockford Peaches There’s no crying in baseball! Seriously though, can you even? 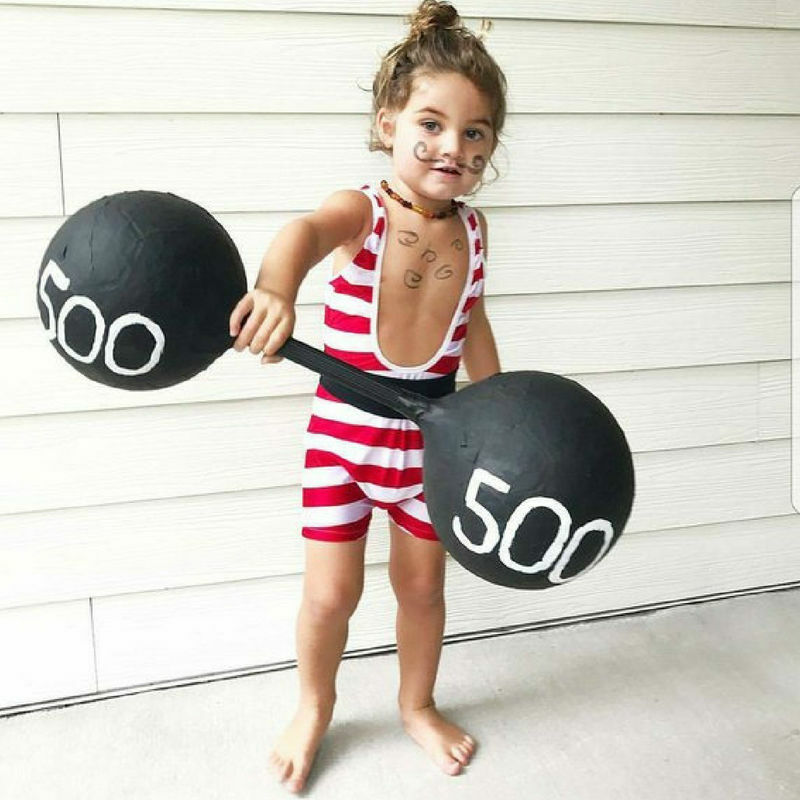 I wish my daughter would wear this Halloween costume so that I could wear it too. Wah. If you don’t want to grab it on Etsy, you can pick one up on Amazon too. Rockford Peaches for your Teen! She gets to wear a skirt (that’s not too short) and you maintain some level of sanity. 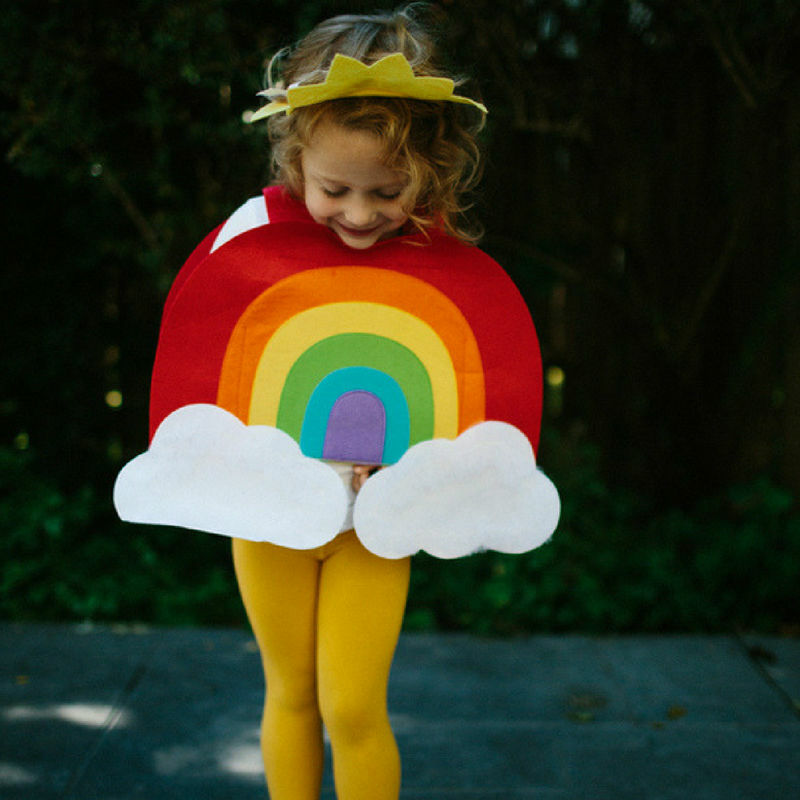 Rainbow Girl All you need is a little felt and some mustard tights:) Can I wear this every day, please? 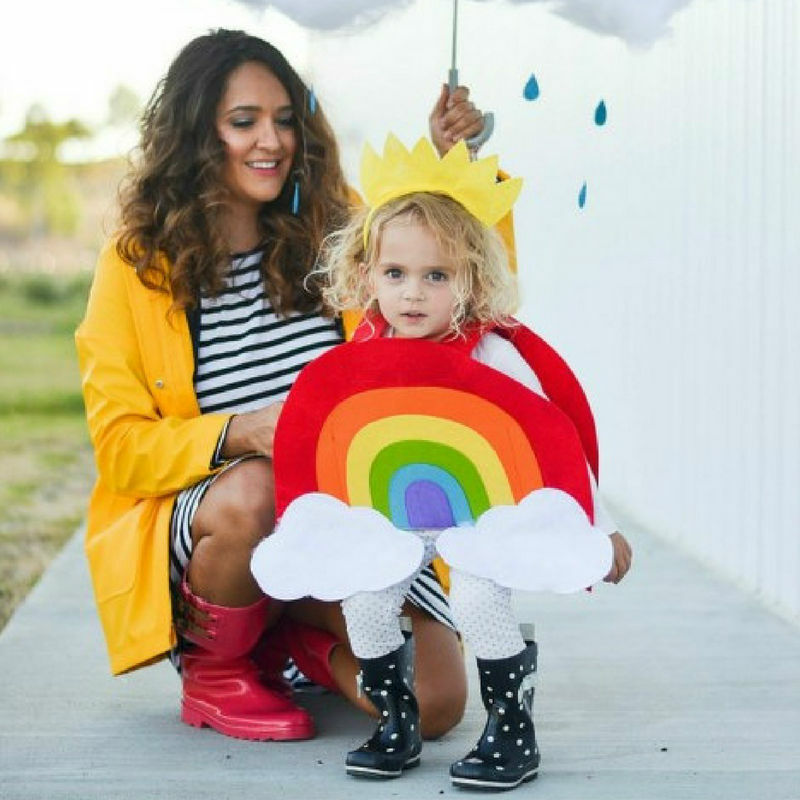 Rainbow Girl and Mom Make it a Mom and Me costume by throwing on your fave pair of hunters and a yellow raincoat. Open an umbrella, fill it with cotton and attach some felt raindrops to string and you’re winning at Halloween. I wanna! Bunnies! I always feel like a good Halloween Costume has to be over the top. Could be because my husband starts ordering costume parts from China in January and legit sets up science and stuff in my kitchen to make the most elaborate things (I’ll pop in some pics below). Point is. It doesn’t. 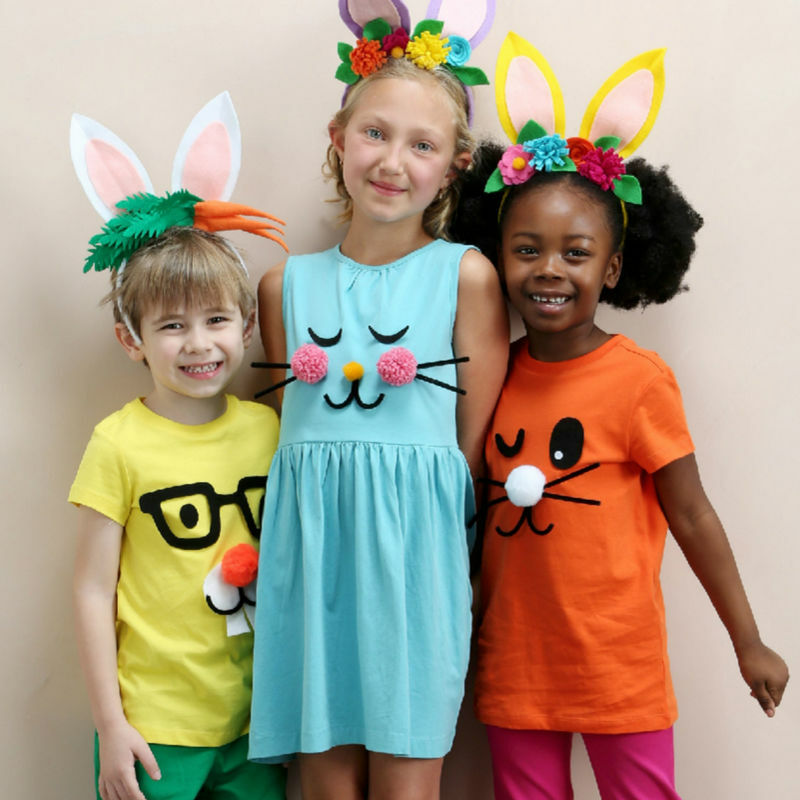 You can create simple costumes with a little time, some clothing basics and creativity! 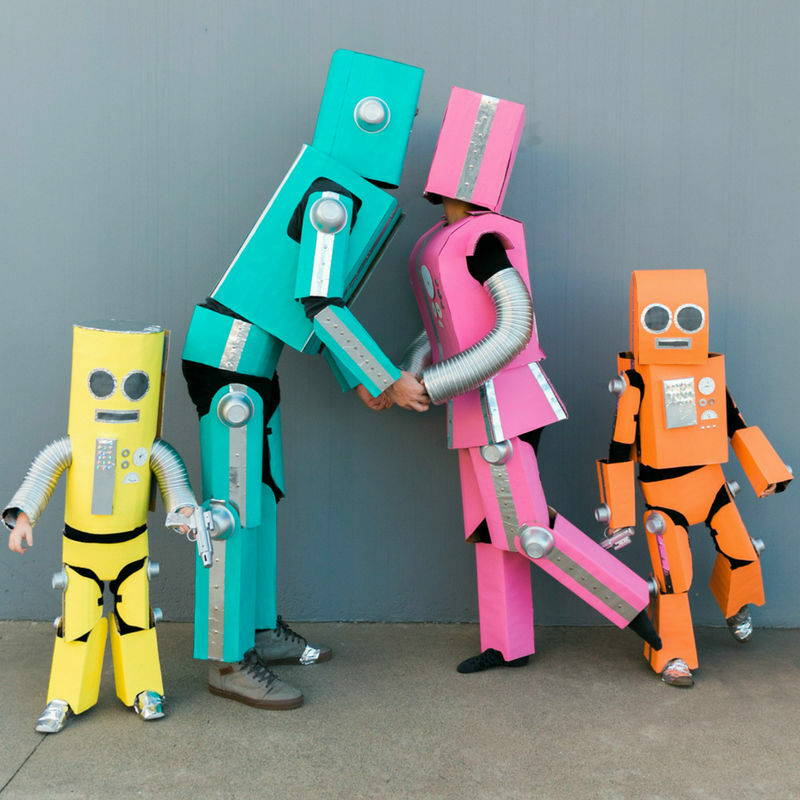 Robot Family Just in case you wanted to make it a family affair and have a bunch of cardboard boxes at home 🙂 Beep, boop, beep. 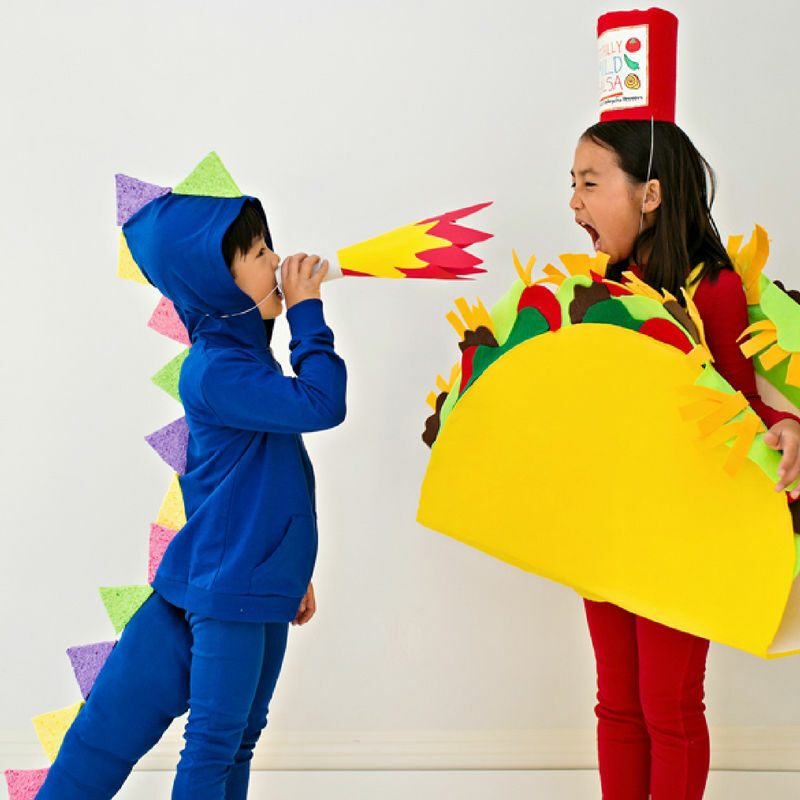 Dragons Love Tacos This is the cutest for a sibling costume! My daughter just had a Dragon Birthday Party this year and Dragons Love Tacos has been read on repeat ever since. Madeline DIY Does this little girl come with the costume? Bonjour! Captain America I absolutely LOVE that Captain America is a girl here. 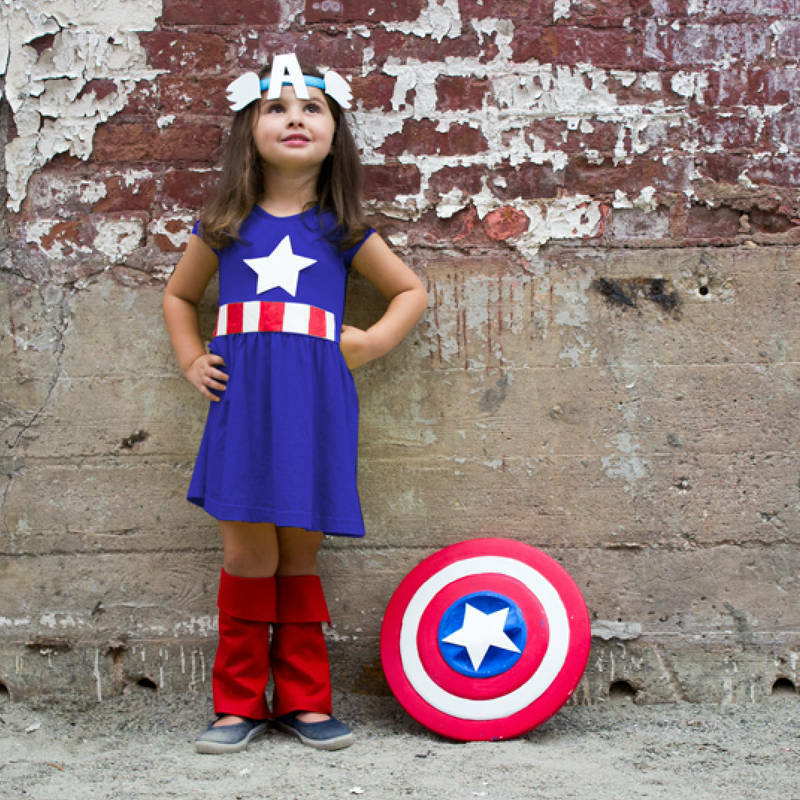 There’s no better time to be empowering our littles, always! Strong Man Another awesome Etsy find. 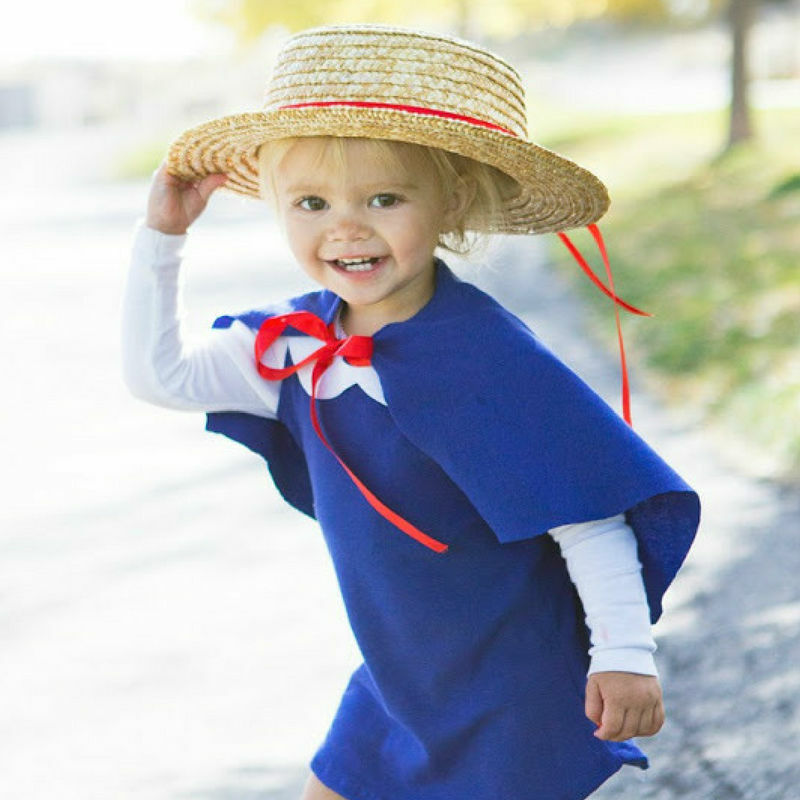 So many great, handmade costumes for those of us who are not crafty enough or don’t have time. Ha. Ha. Ha. That mustache and chesthair kills me. 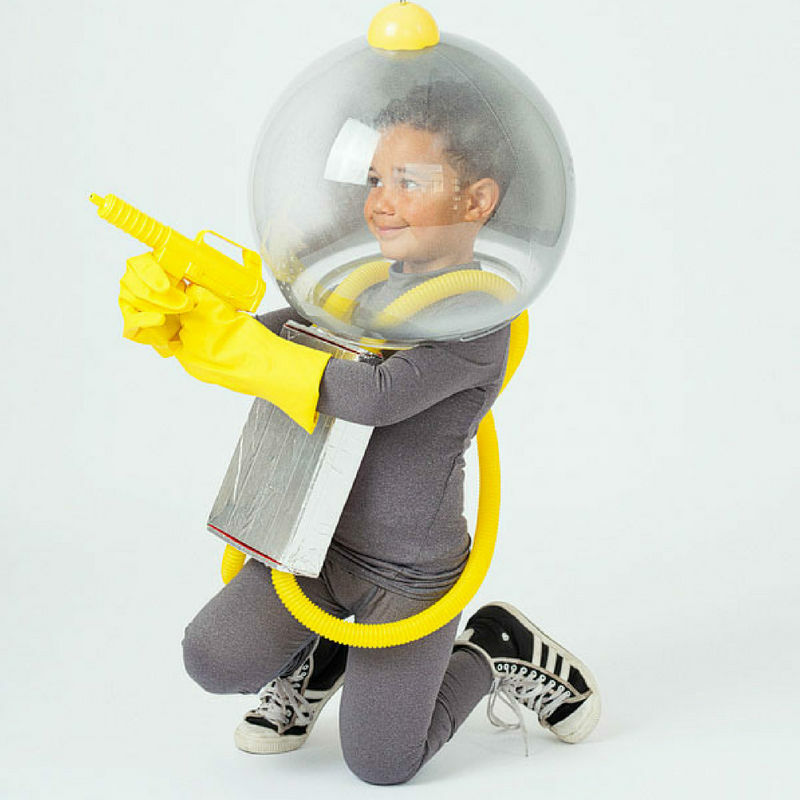 Spaceman Dish gloves are a great accent to any DIY costume (just ask me about that time, I gathered a million and one random objects from my house – including dish gloves – and dressed up as a kid who dressed up as a superhero). 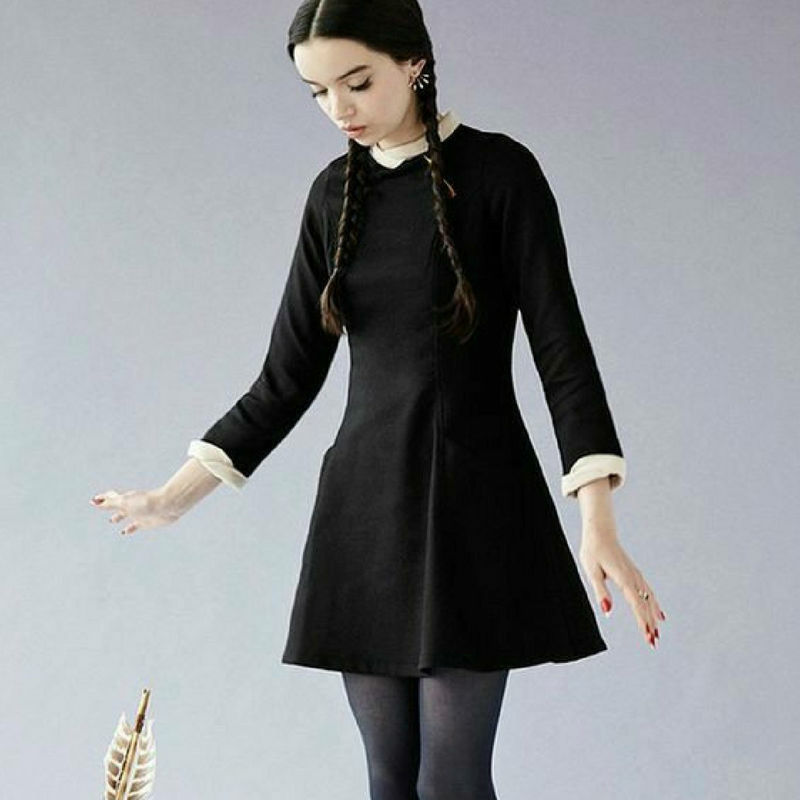 Wednesday Adams Perfect for an older girl who really wants to rock a skirt with her Halloween costume, but needs to keep it clean. Simple, easy and doesn’t show too much leg. 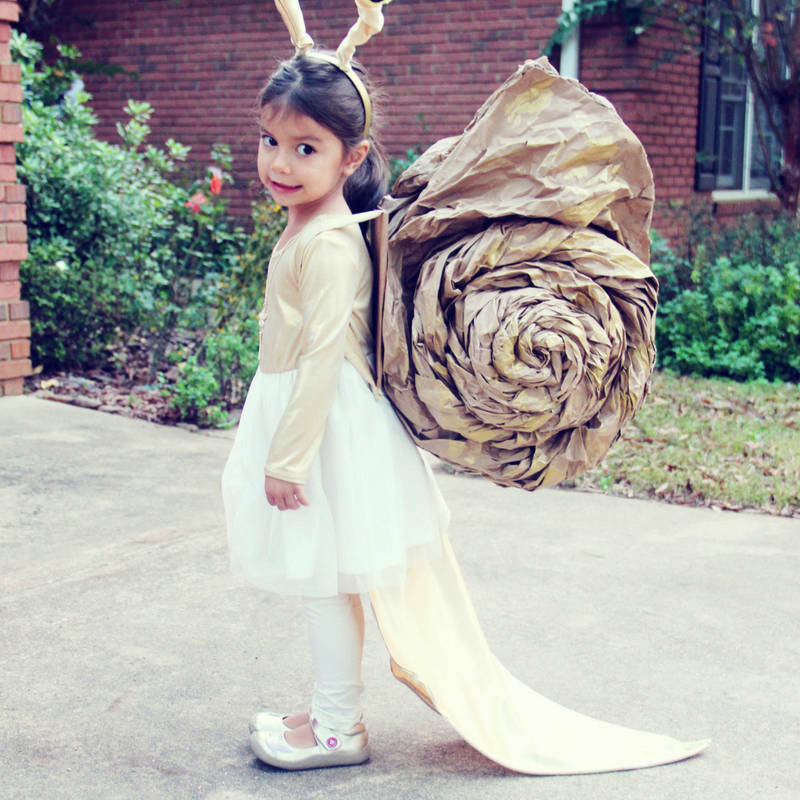 Audrey This costume is NOT cheap, but I feel like you could DIY it pretty easily? Right? Robot I love how they paired a girly tutu with this adorable little robot costume! 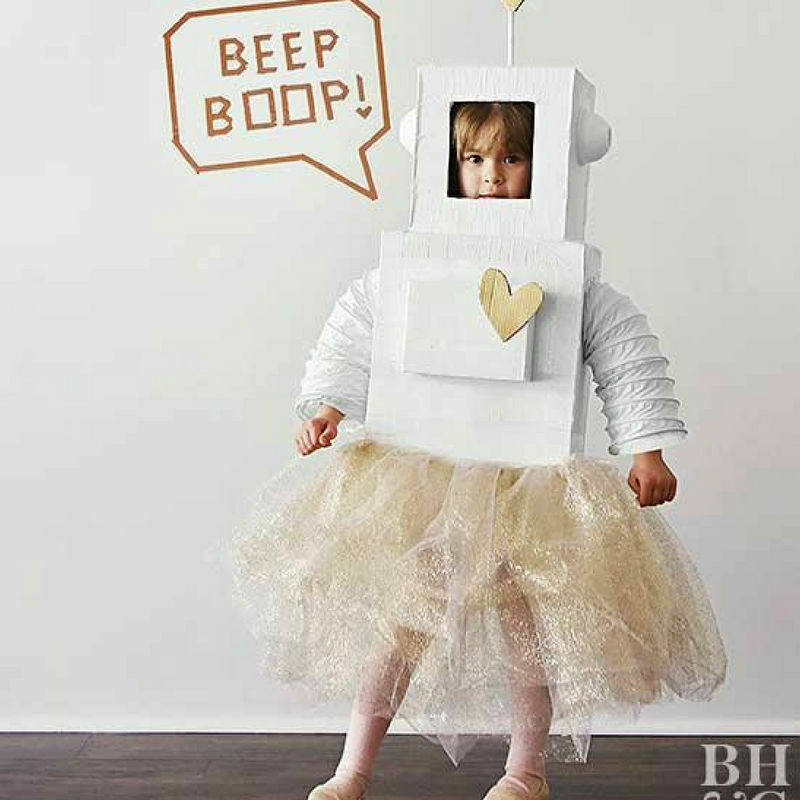 Another great DIY that’s pretty easy to assemble and totally versatile for any girl or boy. Unicorn. 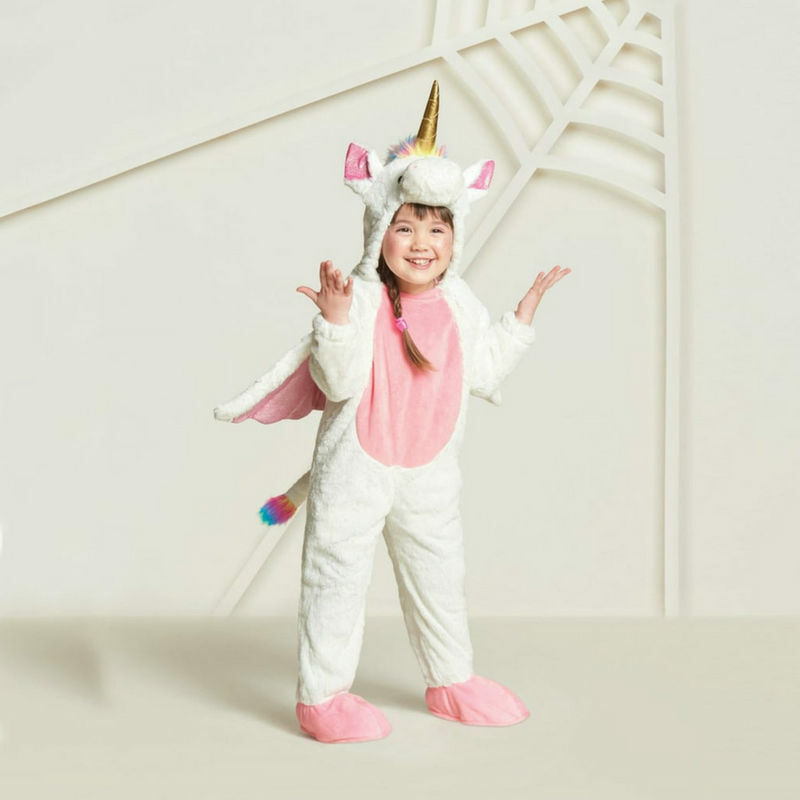 Because when you have a small child, your life is basically unicorns (and also, they have an adult version which I actually purchased and am wearing this Halloween). Both of em’ are yours for the taking at Target. 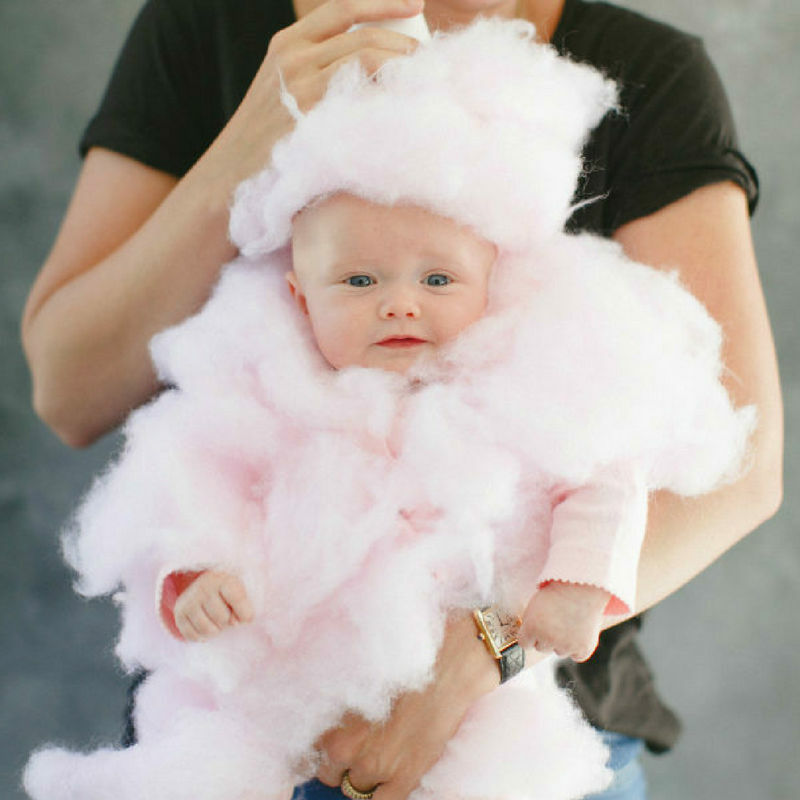 Cotton Candy Babe Don’tcha just want to eat her up? 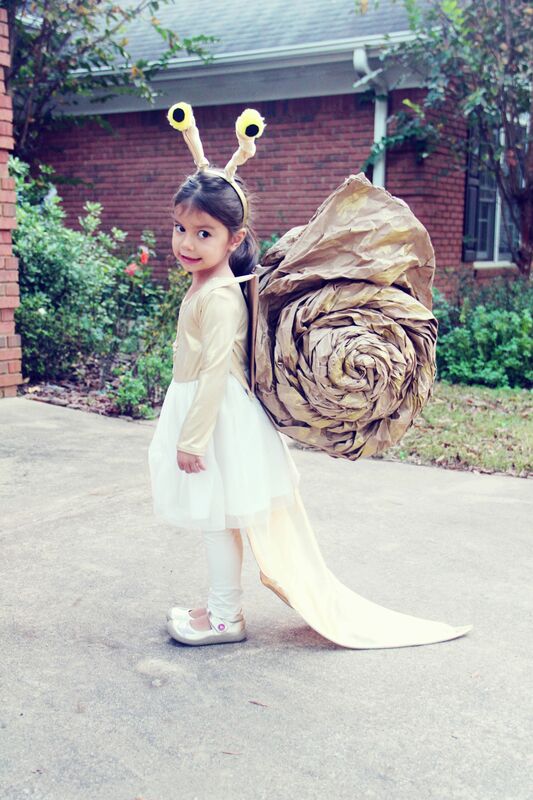 Snail I saw this costume last year and totally saved it for this year, but Doc McStuffins happened and now nothing else will do – You can do it though! And, I mean, who doesn’t have ten thousand wads of craft paper in their garage (Amazon Prime has my soul). 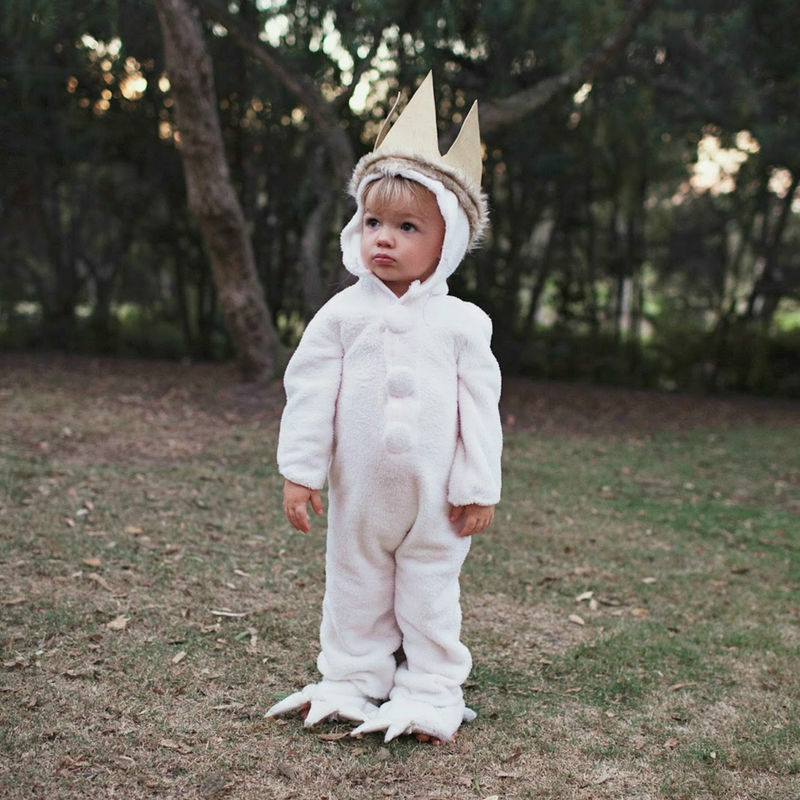 Wild things I just adore everything about this little guy and this sweet DIY. You can also purchase one here on Etsy! Butterfly. You may think I’m over butterflies (if you follow me on Instagram we were growing butterflies all.Summer.long), but I’m not. She’s the cutest. 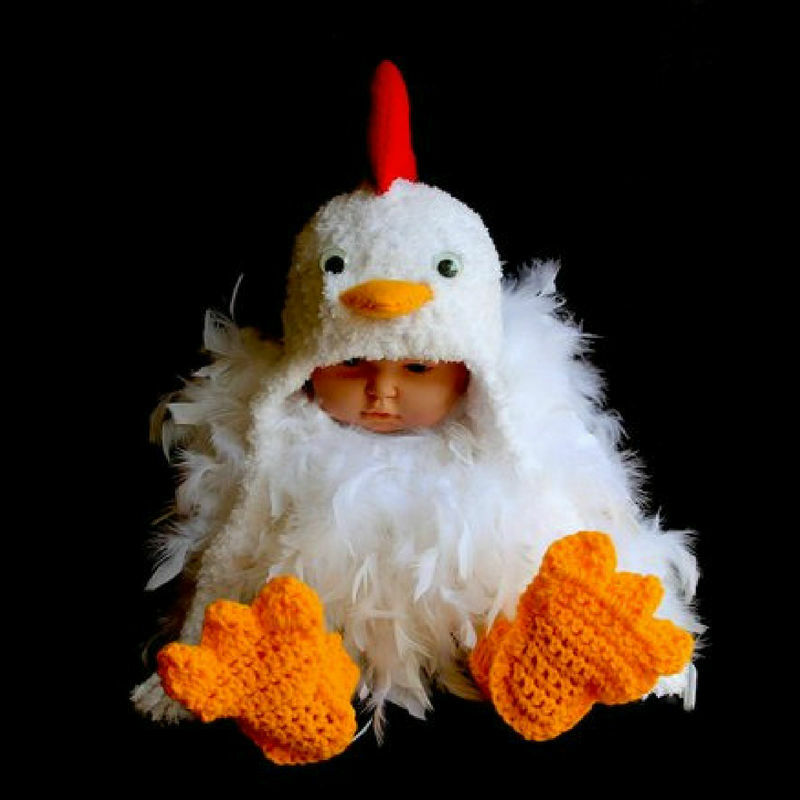 Chicken If you have a baby, please dress them up as a chicken and send me all the pics. OMG, this just makes my heart split in two! This one is just as cute, but WAY cheaper then the one pictured below if you’re looking to buy. I feel like I could add 50 more costumes to this post! But, I’m tired and hungry. 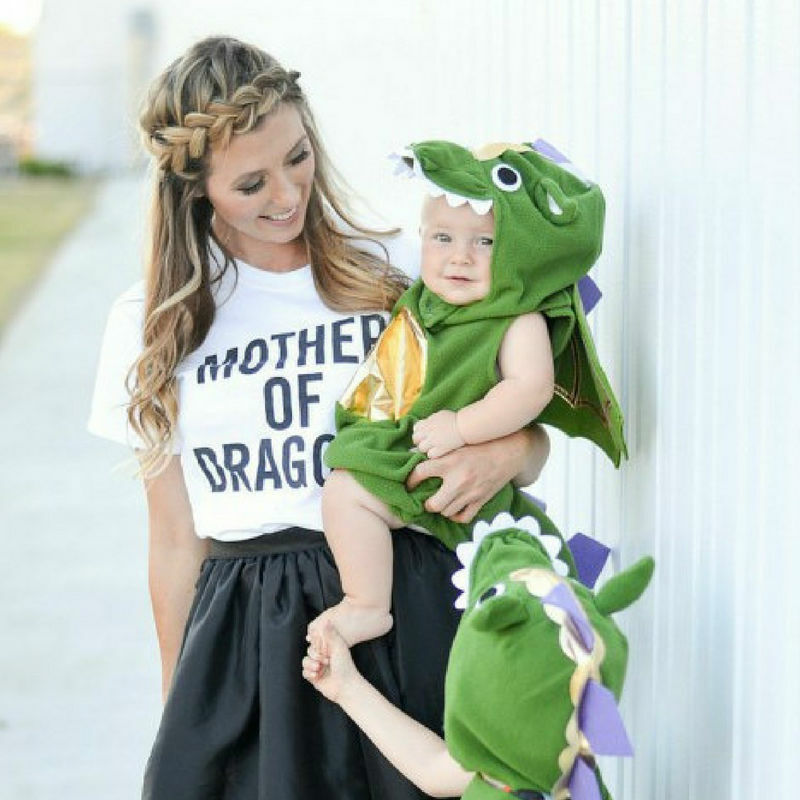 So, if you have an amazing Halloween costume idea, drop the link in the comments below. I’m happy to add it! 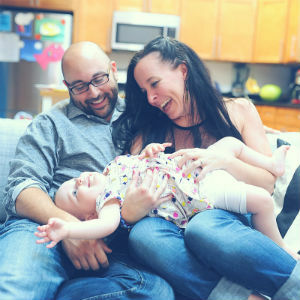 MORE AWESOME STUFF FOR YOUR KIDDOS RIGHT HERE!